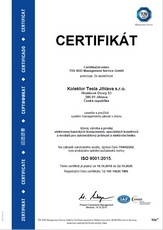 Quality is the basis of all Kolektor Tesla Jihlava s.r.o. activities. We are aware that every employee plays a crucial part in reaching the desired level of quality. 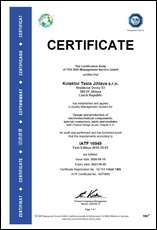 Customer satisfaction, improvements in our flexibility, perfection of the range of services we provide to our customers, continuous quality improvement; quality through planning, team management, quality in the environment protection – these are Kolektor Tesla Jihlava’s main quality objectives. We pay close attention to the motivation system of our employees, which leads to the meeting of our quality objectives. 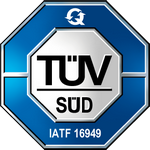 Since 1997 we have been a holder of Quality system certificates.